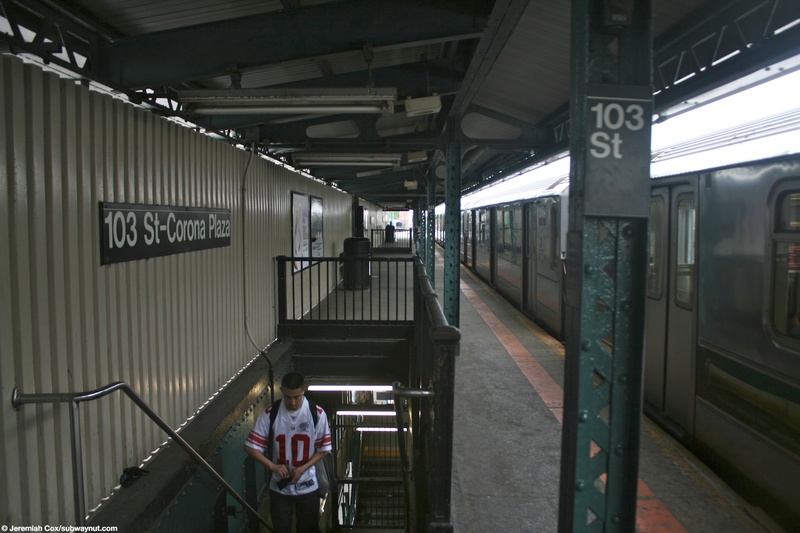 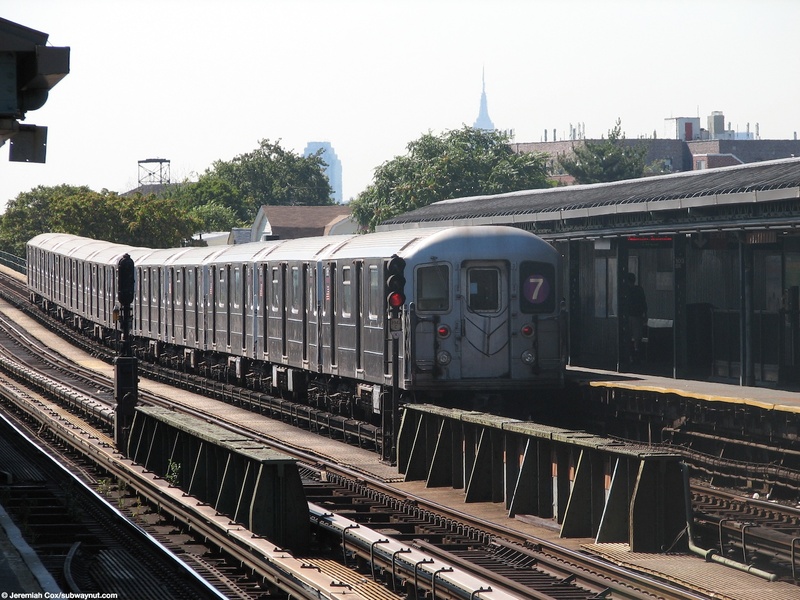 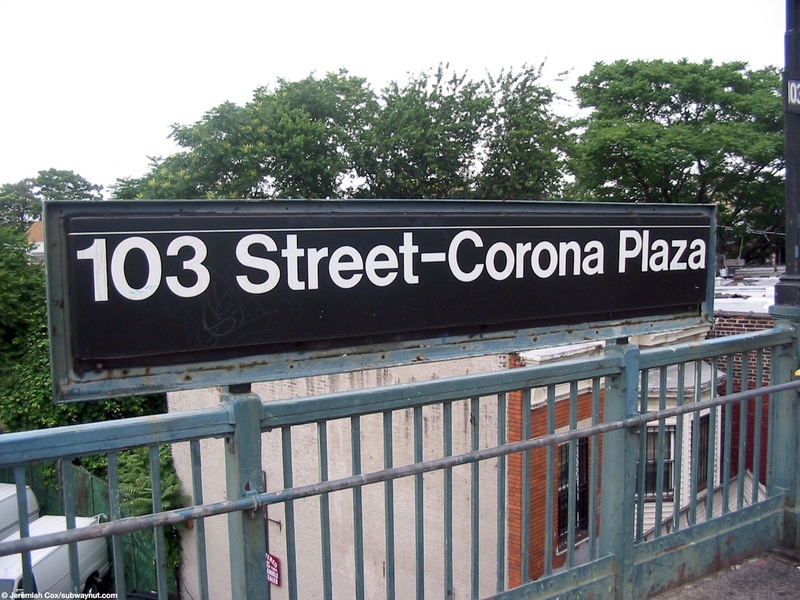 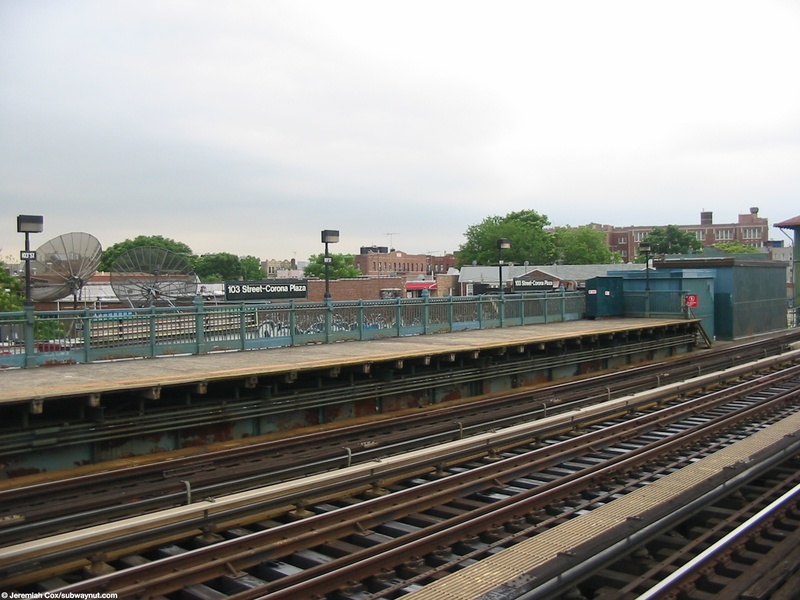 103 Street-Corona Plaza is a standard Flushing Line local station with exposed platform ends (including some old and little porcelain on enamel sings on lampposts) and the middle of the platform with a cream colored windscreen typical of so many subway stations. 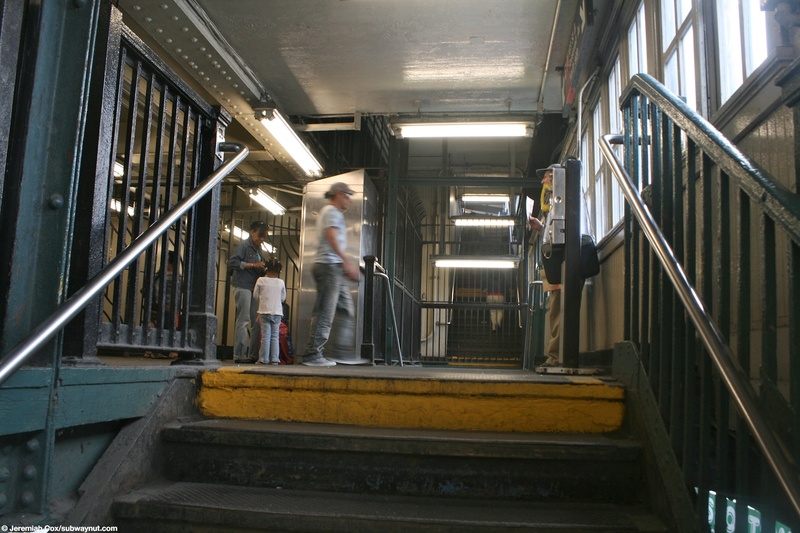 The station's only exit is in the middle of the platforms where two staircases lead down from each platform to separate banks of turnstiles (with each set providing a free crossunder) inside the station house beneath the elevated structure. 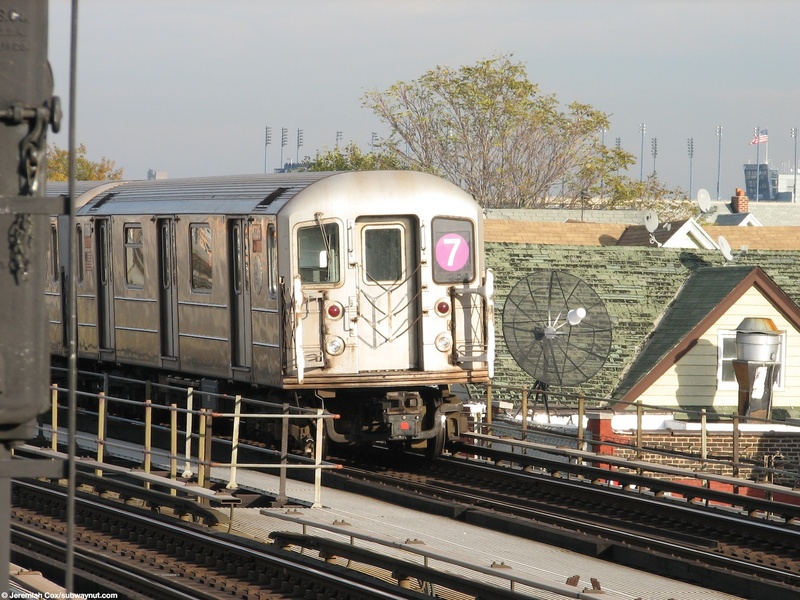 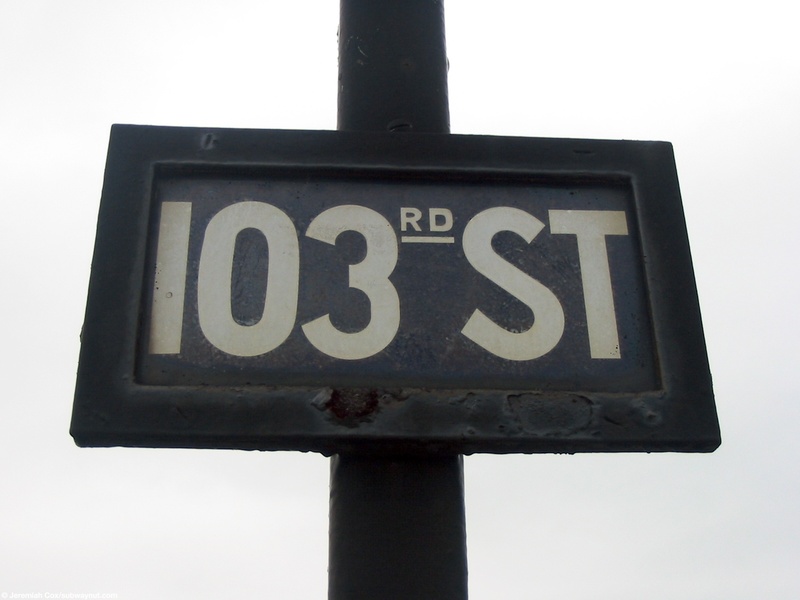 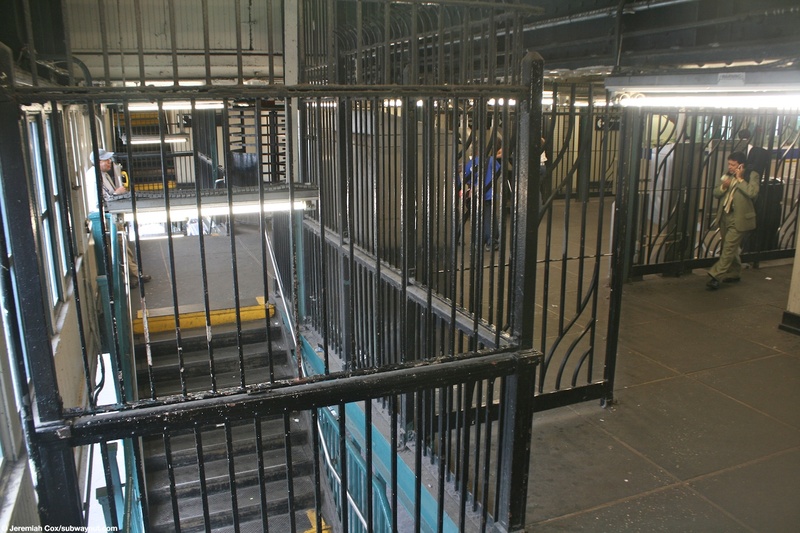 Four street stairs in turn lead down to each side of Roosevelt Avenue between 103 Street and 104 Street. 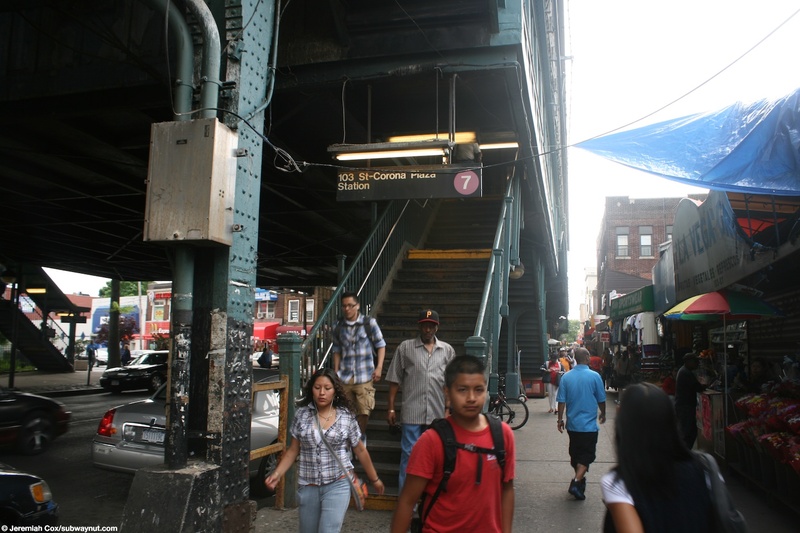 The stairs to the south side of the street lead to Corona Plaza. 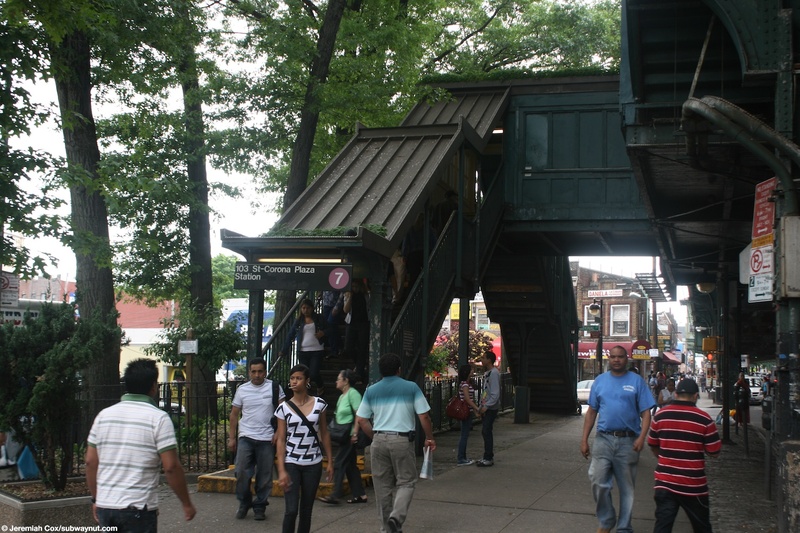 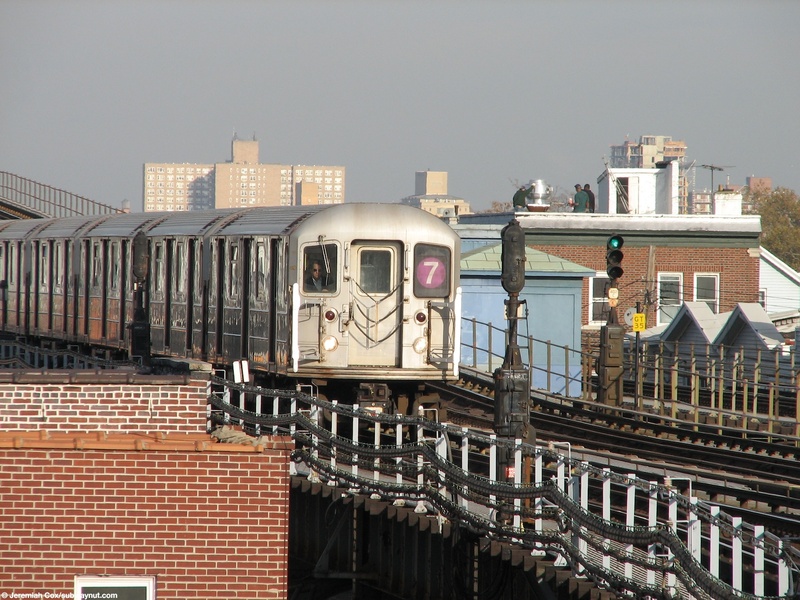 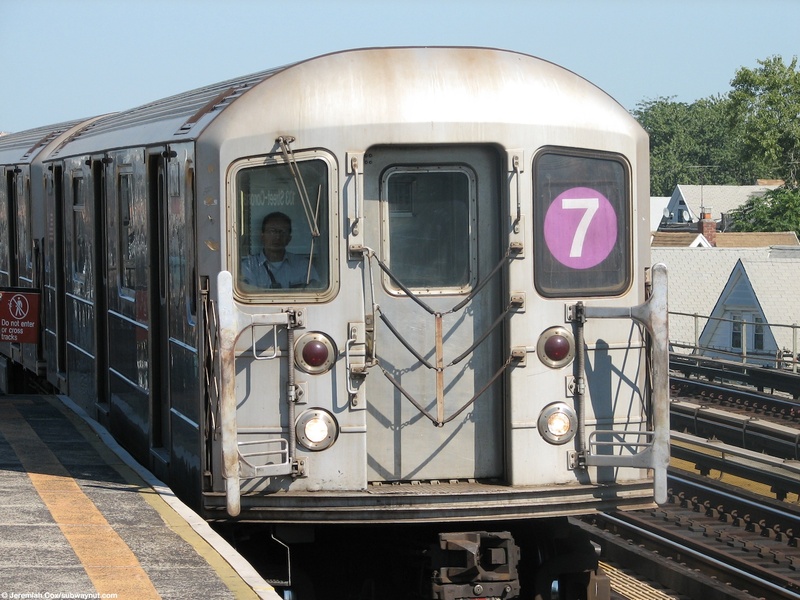 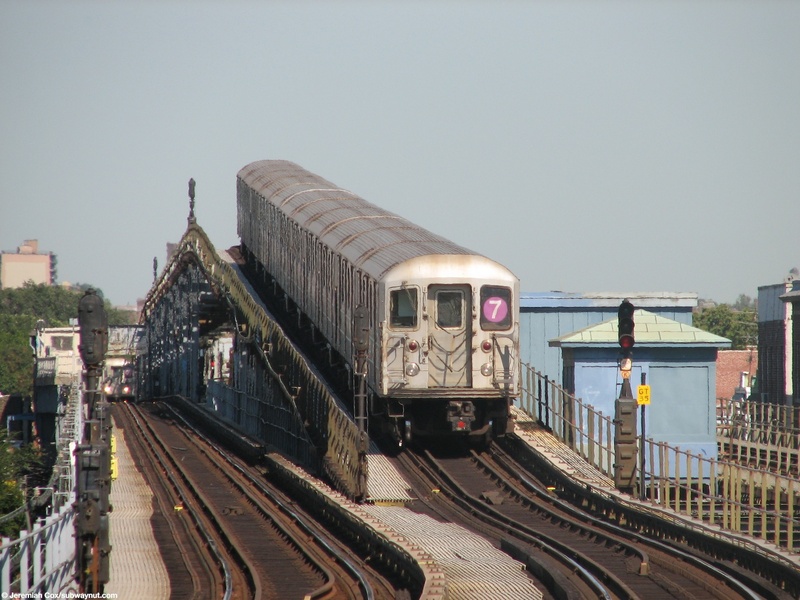 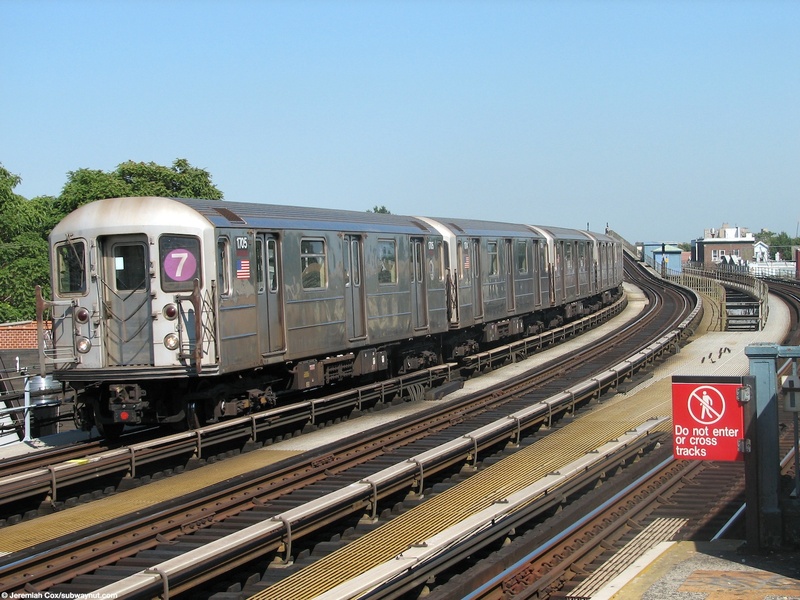 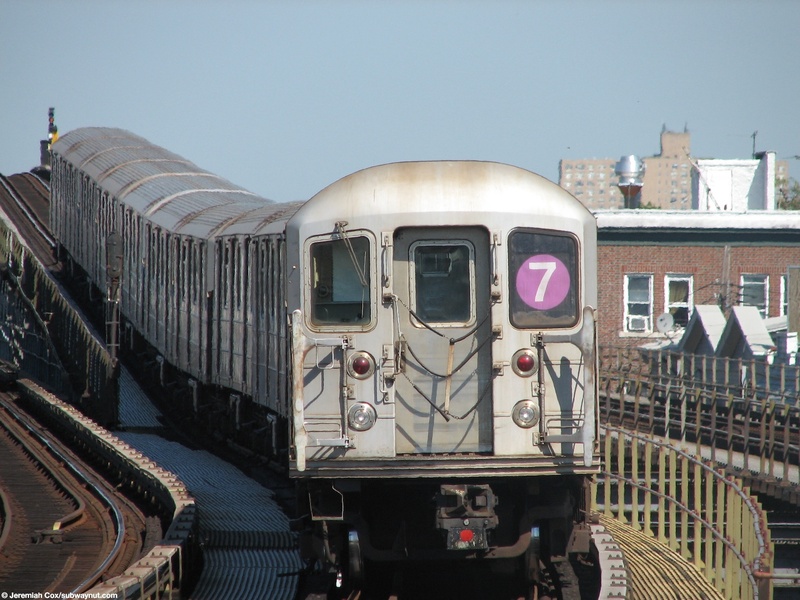 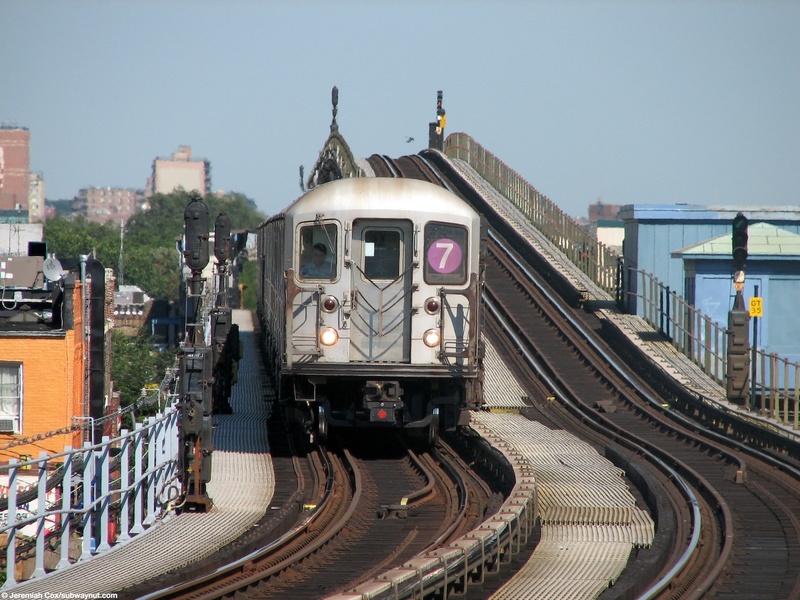 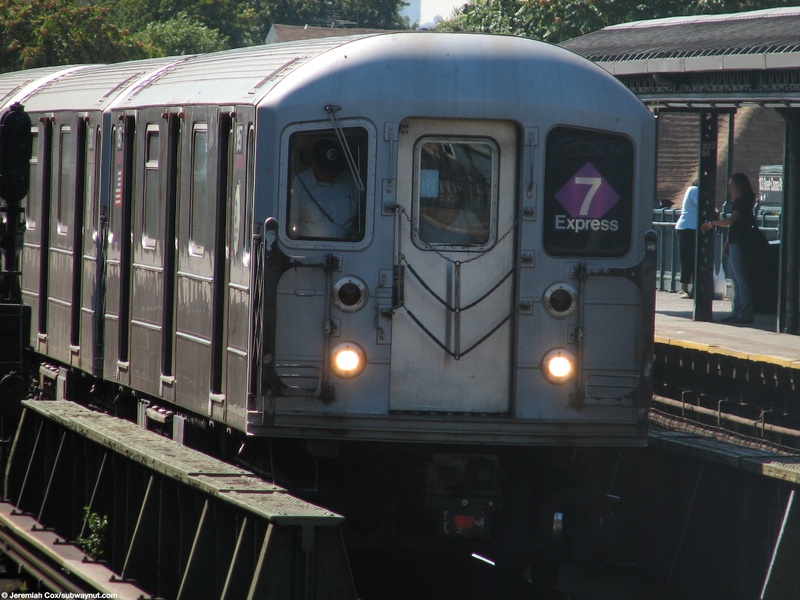 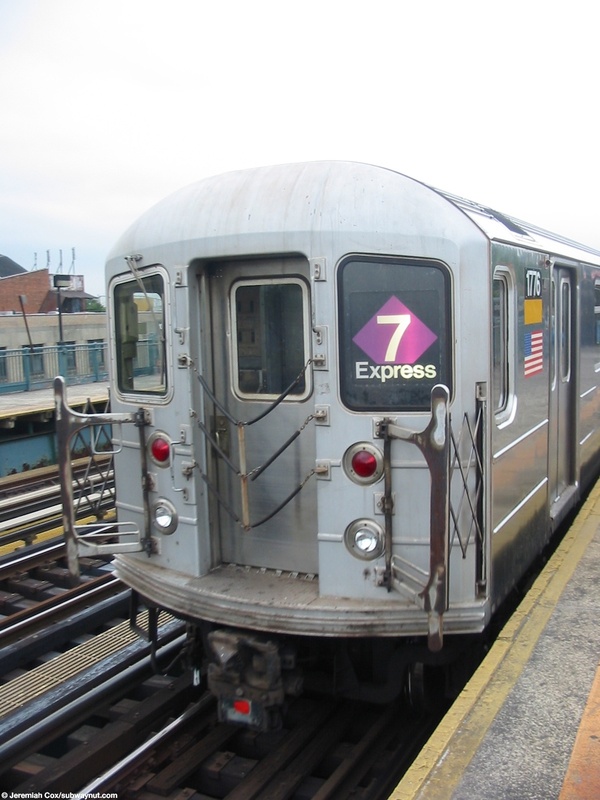 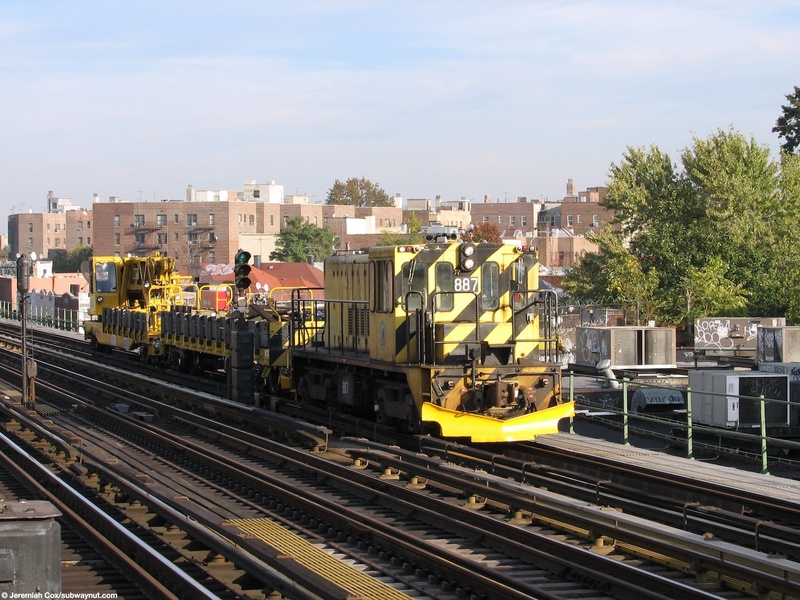 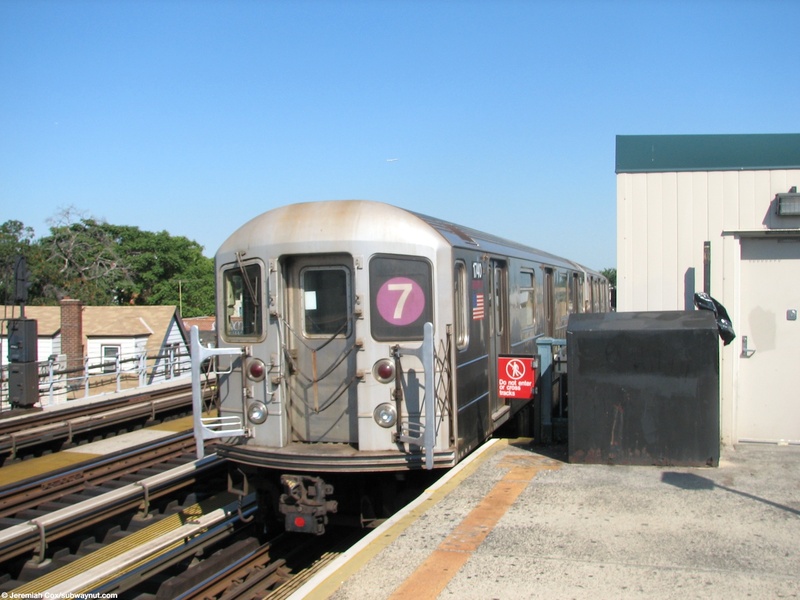 A bit north of the station (before 111 Street) the express track rises up to a second level to allow local tracks to access the Coronoa Yard lead to become the famous flying express of the 7 Express line.